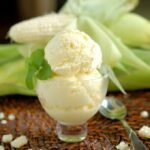 Is it really worth the effort to make your own ice cream cones? Yes! 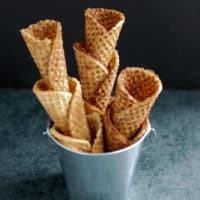 Pre-made cones are fine and all, but crisp, sweet and fresh homemade cones are an extra special way to enjoy your favorite ice cream. 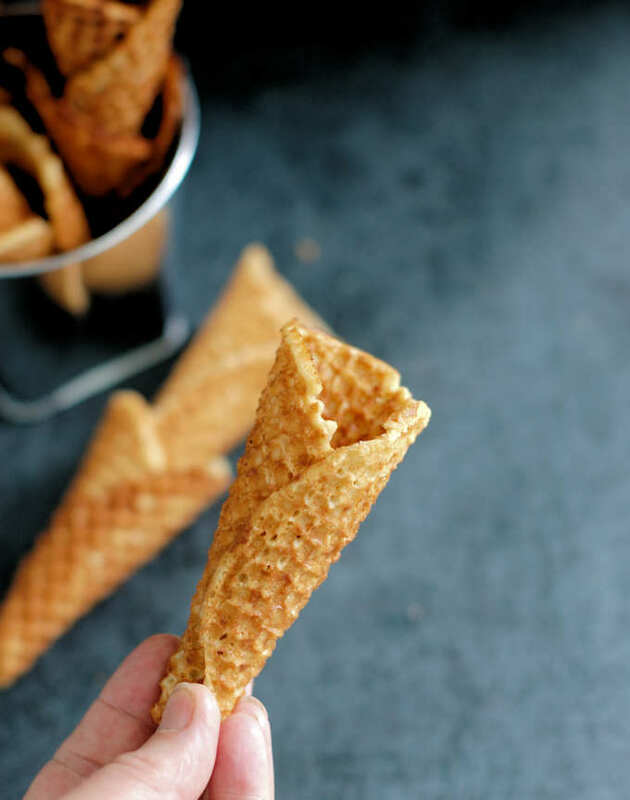 What better way to start off a month long celebration of delicious frozen treats than by making your own cones? 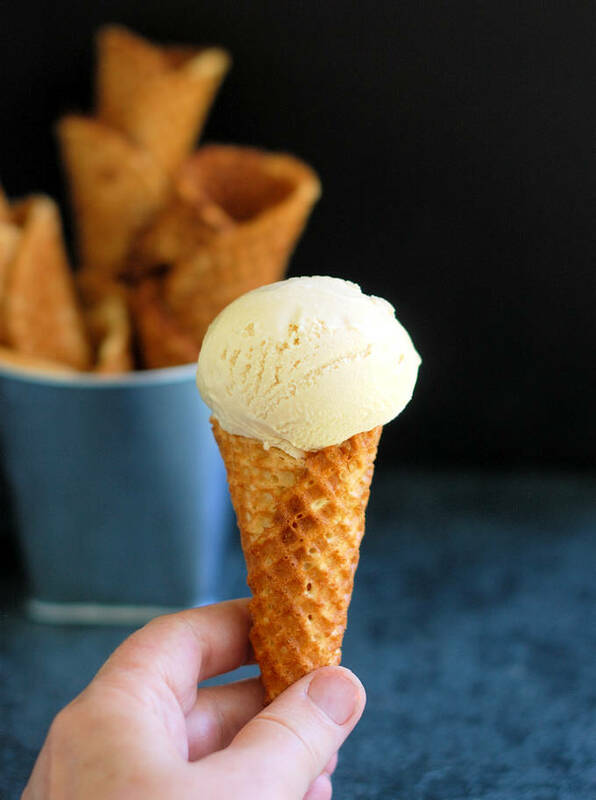 If you can bake cookies, you can make ice cream cones. 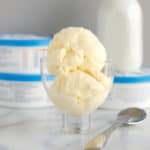 The difference between cones that you make yourself and the ones you buy in the store is like the difference between packaged cookies and homemade cookies. No comparison! The batter for these cones is really more like a pancake batter than a cookie batter. You don’t even need a mixer. 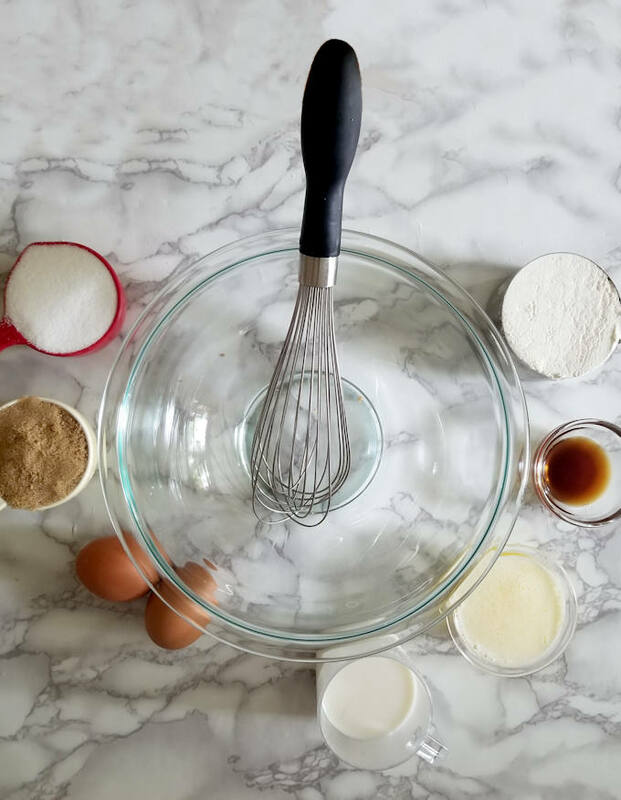 The batter is mixed by hand, in one bowl, and it comes together in mere minutes. To bake the cookies I used a Pizzelle/Waffle Iron . But you don’t need a special appliance to make these cones. You can spread the batter onto baking sheets and bake them in the oven. 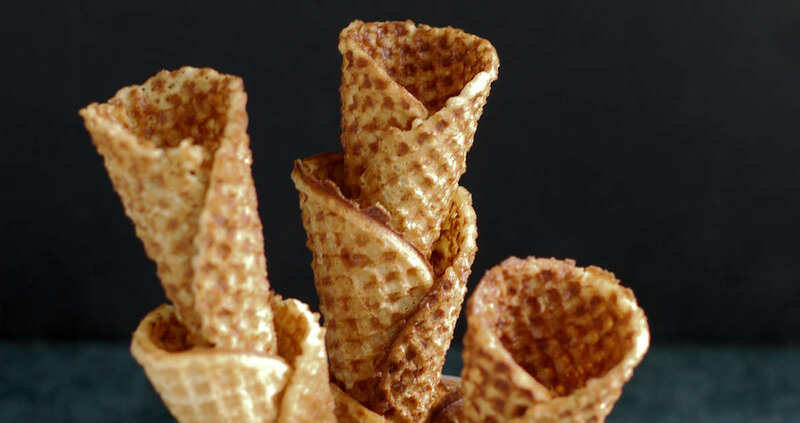 Your cones won’t have the waffley ridges, but they’ll still taste great. My Pizzelle maker has two compartments, each one measuring about 5″ across. 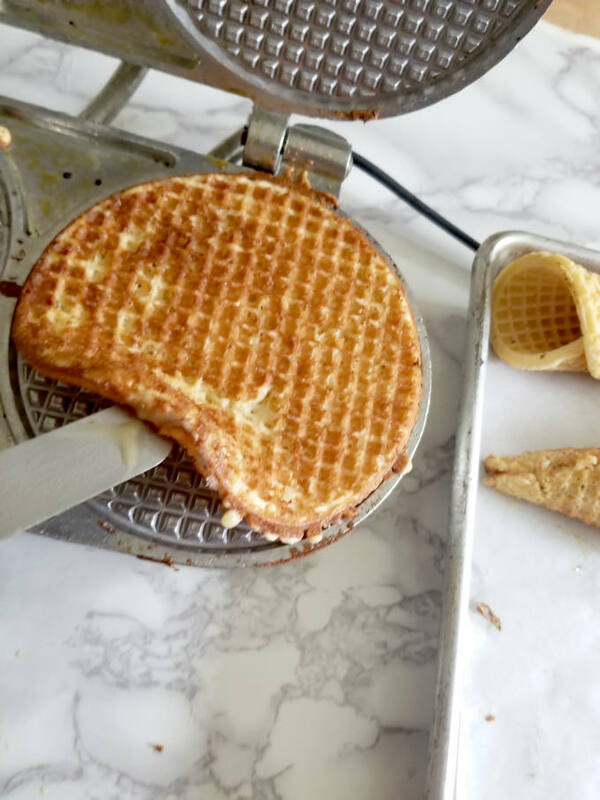 You can adjust the amount of batter per cone if your waffle maker is larger or if you’re making them in the oven and you want to make bigger cones. Do resist the urge to spread the cookies too thick. More is not always better. The batter should be super-thin so the cones bake up very crisp. You want the cone to crack when you bite it. 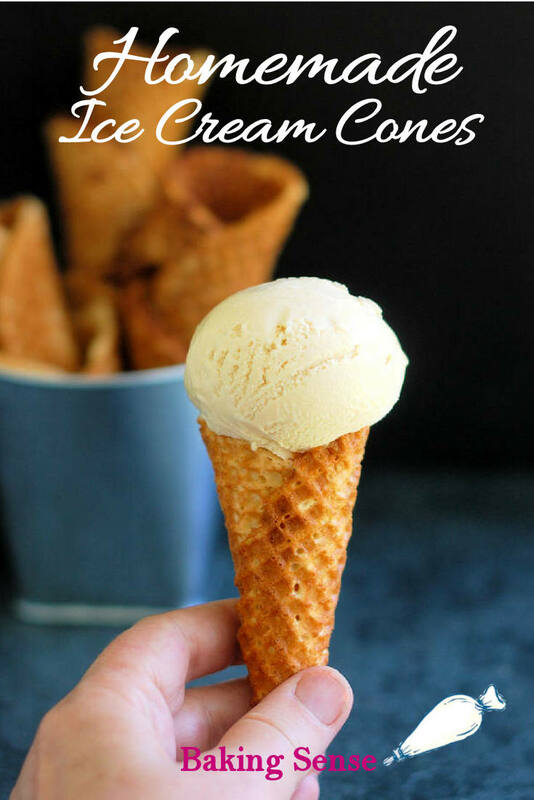 The recipe makes about 20 cones (you might mess up a few, I did). If you don’t need that many cones you can either make half the recipe, or store the batter in the refrigerator and make as many cones as you want for that day. Since there is no leavening in this batter, it also freezes very well. 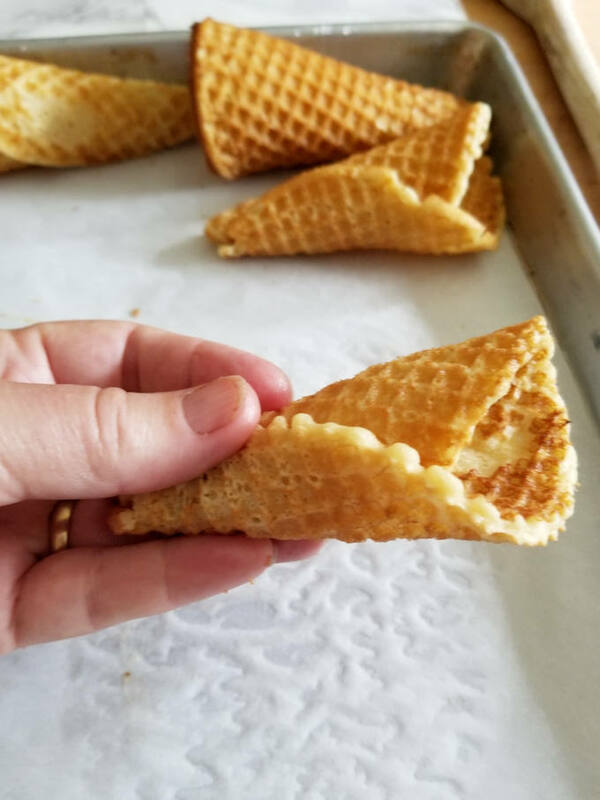 I tried freezing the baked cones but they ended up getting soggy. 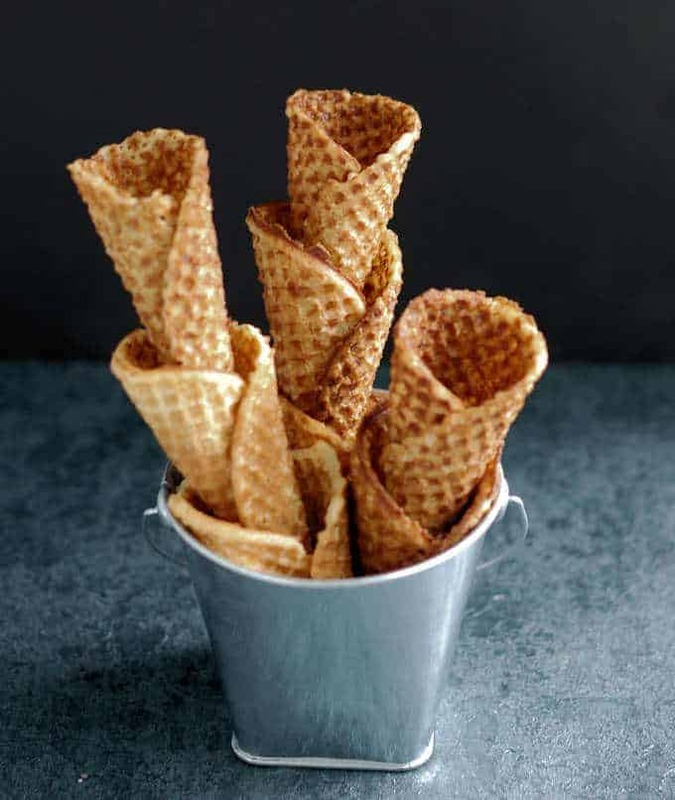 It’s best to make as many cones as you’ll eat within a few days or refrigerate/freeze the remaining batter for later. 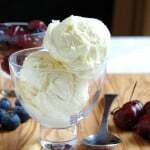 You can also drape the warm cookies over the back of a small bowl to form edible ice cream dishes. Another option is to leave the cookies flat and just enjoy them as a cookie, or use two cookies to create an ice cream sandwich! 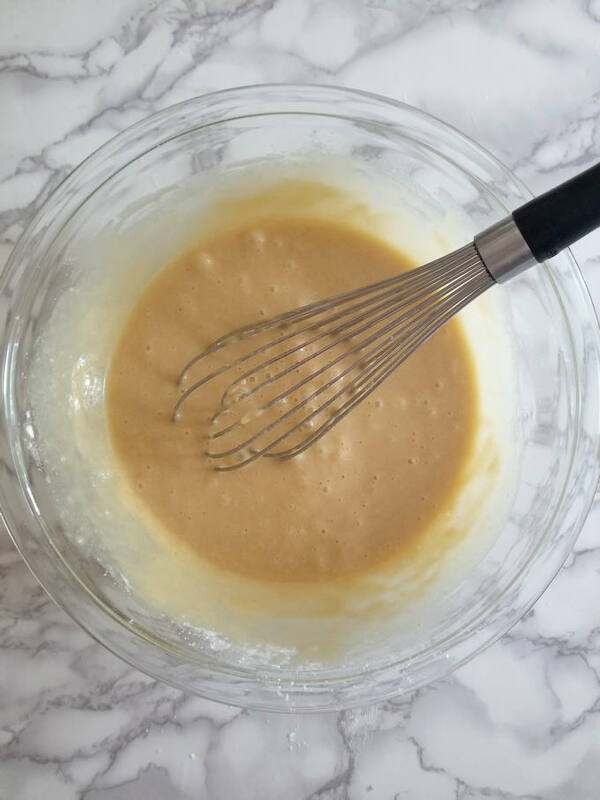 In a large bowl, whisk together the brown sugar, granulated sugar, salt, eggs, milk, melted butter and vanilla. 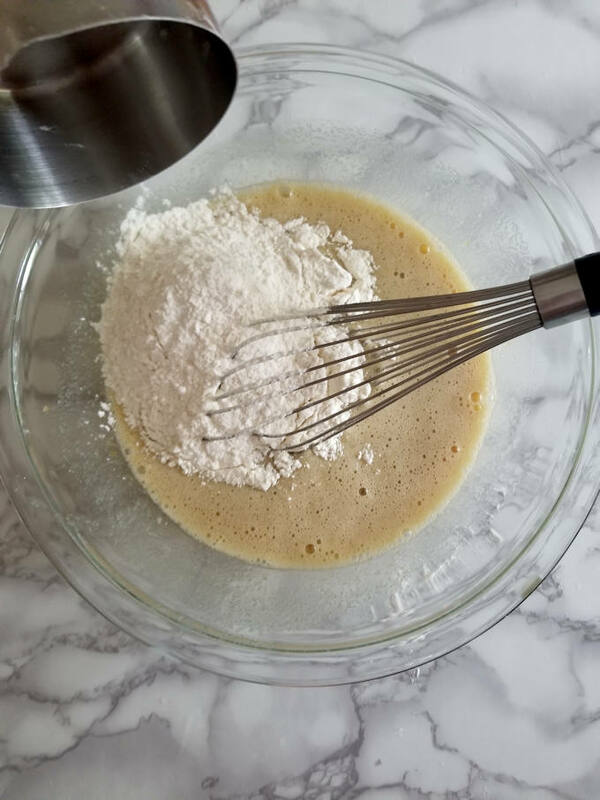 Whisk in the flour until combined. The batter will look like pancake batter. Set aside the batter for 30 minutes or refrigerate overnight. Return the batter to room temperature before making the cookies. If you have a pizzelle/cookie iron, preheat that. 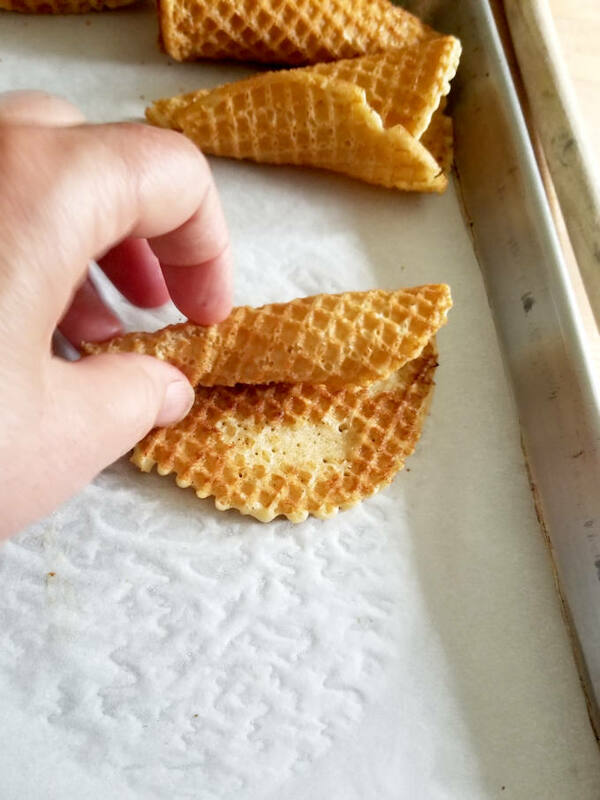 If you don't have a pizzelle iron, line 2 baking sheets with parchment paper or a silicone baking mat and preheat the oven to 350F. 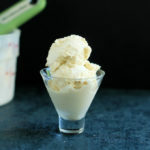 Use 2 tablespoons of batter for each cone. 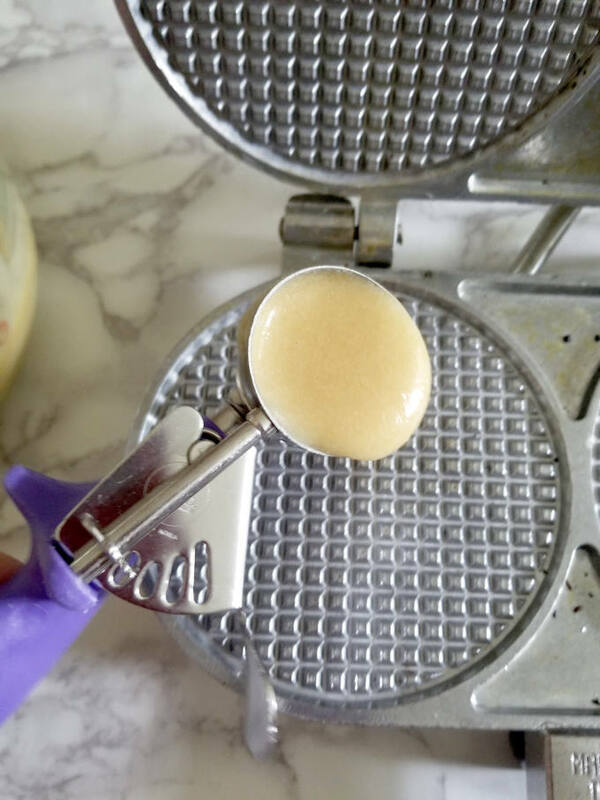 If using the pizzelle iron scoop the batter into the center of the cookie iron and immediately spread to cover the surface. Close and bake until well browned. Remove the cookie from the iron and set it on a work surface. 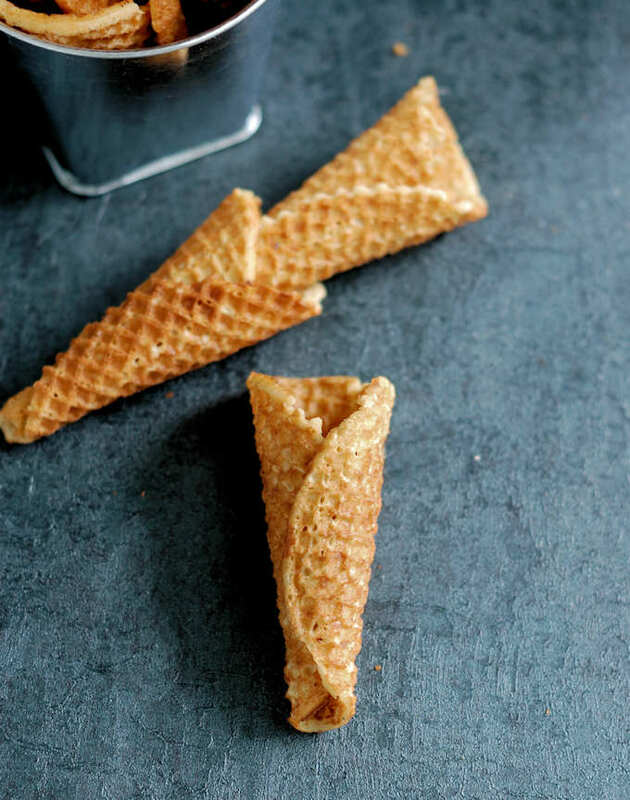 Pour another cookie and while that bakes, wrap the first cookie into a cone shape. Continue working with two cookies at a time. While one is baking, form the other into a cone. As the cones cool continue tweaking the shape until they are set. Cool completely. Store at room temperature in a tightly covered container. 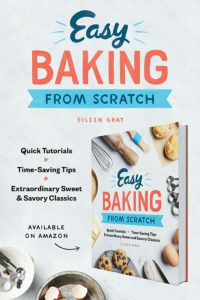 If a cookie starts to harden before you shape it return it to the oven for a minute or two to soften and then continue. 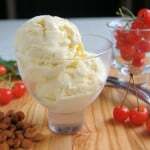 You can create ice cream bowls by draping the warm cookies over the back of a small bowl. 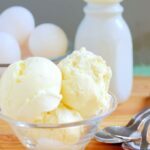 The batter will keep in the refrigerator for several days if you want to make just a couple of cones at a time. 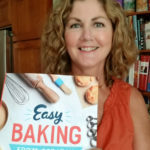 Eileen, this looks really good! I think I need to make these for myself and the kids. Love this idea! Great! If you don’t have a waffle cookie press you can spread the batter on sheet pans.